Funk of Titans is out now on Xbox One and so it seems like a cracking time to grab one of the team behind the game and quiz them on a few little bits and bobs. Ramon Nafria, the lead producer at Barcelona-based A Crowd of Monsters, seemed like the prime candidate. Please introduce yourself. What is your role at A Crowd of Monsters and on the latest Xbox One digital title, Funk of Titans? I am the producer. That means, I’m the guy that decides some things, that makes it possible that the game arrives to the public, and who adds a little to any game we make. But I am also the game designer (and a bit of programmer), so usually I make more things for each game than the typical producer does. So…sell it to us. Why should gamers buy Funk of Titans on Xbox One? 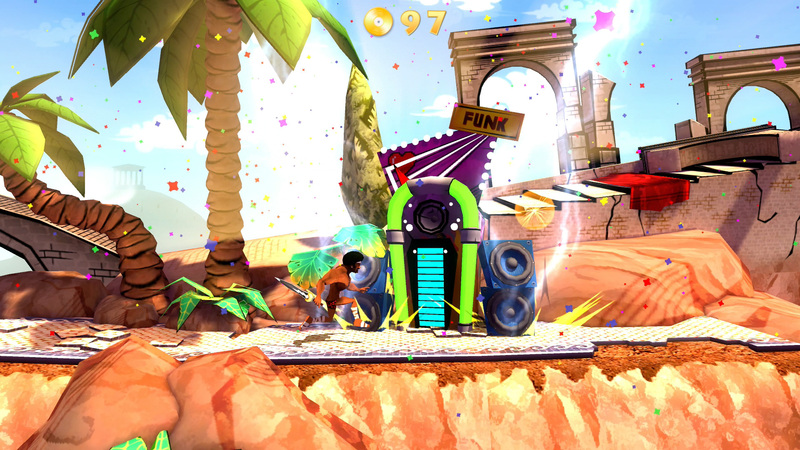 When did you first start work on Funk of Titans and what were the biggest hurdles you had to cross? 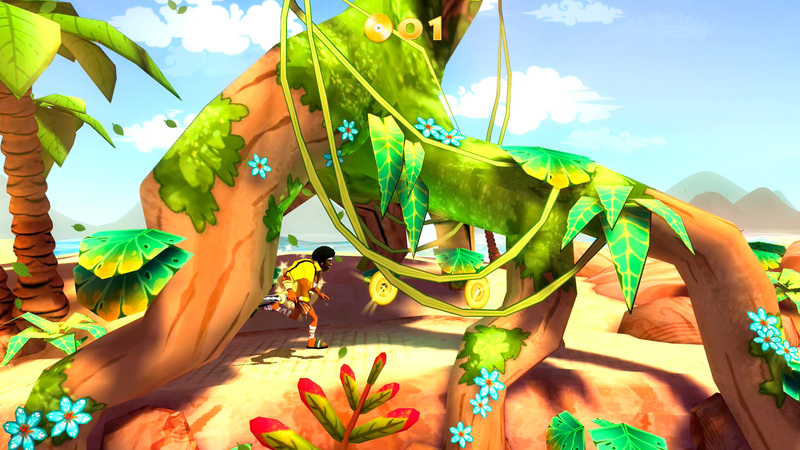 We began to work after Sugar Kid (the end of 2012) and we finished the true development in mid 2014. The hardest part has been, as always, to close the game. It is always a mess to do that. With that in mind, where did the idea originally come from? Of all the musical genres why was Funk the chosen one? Why did you settle on telling Perseus’ story via the medium of platforming? Did you consider other game genres? Because it can be very rythmic. 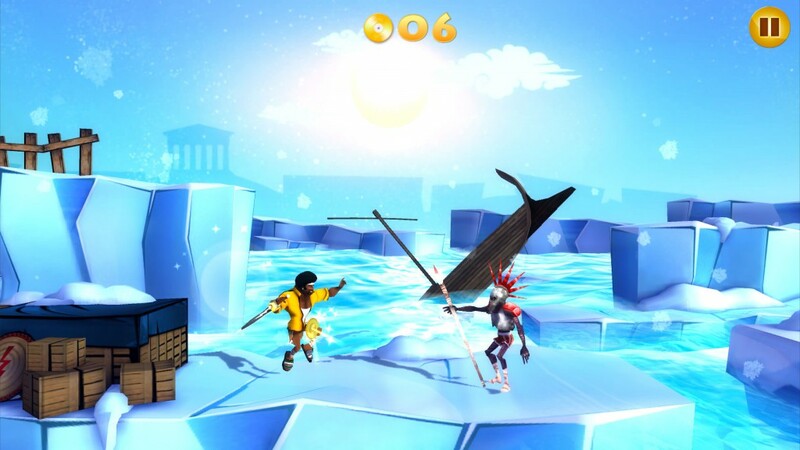 We had a old idea called Funky Ninja, and it was similar (more in the Temple Run vein). 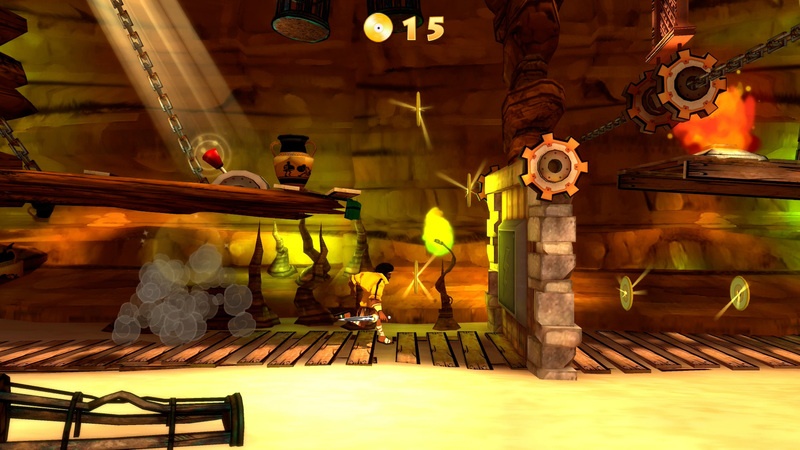 This is similar, but with levels, and a different scrolling style. The control system is nice and simple. Was it always the plan to keep it down to just the two X + A buttons for the most part? Always (I was the one that had doubts in this point). What was the intention behind taking the movement control out of the hands of the gamer? Was there a fear of slowing the pace of everything down too much? The thing is that if we give more freedom to the player then the game won’t have the same flow. We were looking for this flow. Some of the cosmetic additions to Perseus’ wardrobe are a little reminiscent of a few very popular franchises, which weapons and outfits were your favourites to design and use? Are there any that didn’t make the cut? I love the original one, but it could be the robot helmet and the stop sign :). All the ideas we had are in. Were there any plans to include any Kinect features? They were, for the bonus stage mainly. After Kinect went out of the basic Xbox One devkit we preferred to use the pad only. How has [email protected] helped you deliver Funk of Titans? Would we be seeing the game on Xbox One were it not for the scheme? They have been really supportive. They have given us the devkits, we have been able to show the game at Gamescom and at an event at the same time at PAX Prime, and a lot of feedback and help during the development. Is there any chance of seeing the game appear on other formats? We will study any format, but we have nothing decided. ..and finally, we know you’re currently working on the awesome looking Blues and Bullets, but will we see Perseus return for a Funk of Titans sequel? Are there any plans for him to eradicate other genres from the world? Many thanks go out to Ramon for his time. 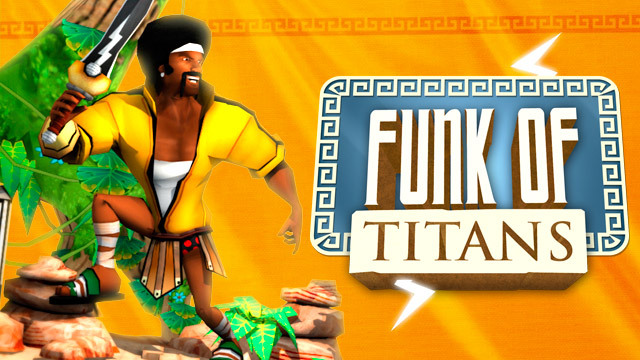 Funk of Titans is out right now on Xbox One as a digital download. It’s rare to find so much Funk for just £9.99! Check it out. Cyber Killer Thanks. btw: You're one of the very few sites where the staff actually replies to comments, that's very cool.